B&B Poesia di Mare is situated in the heart of Polignano a Mare’s historical centre; it overlooks the beautiful panorama of Lama Monachile, one of the most enchanting spots of the town. The building has six different rooms and tries to meet all guests’ requirements. Marea, the first one, is the best solution for relax and comfort lovers; it still has the old village peculiarities. The second one, laid out over three floors, is Orizzonte that can host up to 4 people. On the first floor there’s a bedroom with a fireplace inside where you can warm up yourself in winter nights. On the second floor a comfortable kitchen and on the third floor a panoramic balcony with sun lounge, for relaxing moments from dawn to dusk. Moreover, our guests could ask for a private dinner on the sunset , according to guests’ wishes and requirements. The third one is Tramonto, the perfect solution for a romantic journey. Laid out over three floors, it’s an optimal solution for short and also long stay. 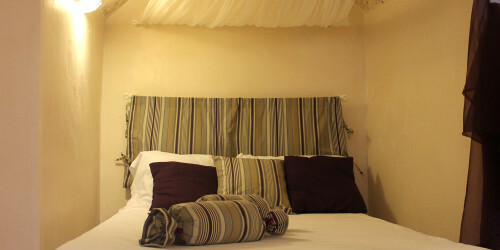 This is the best solution for couples who want the maximum of comfort in a wonderful room near the sea. Here also you can ask for a private dinner on the sunset. 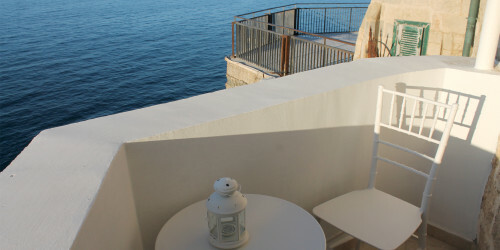 The fourth solution designed from the b&b Poesia di Mare, in Polignano a Mare, in Apulia, is Aurora. Set within a space that once served as a stable, Aurora retains the hallmarks of the old houses in the historic center of Polignano a Mare, as the vaulted ceiling realized with tuff. The bedroom is very breezy in summer. 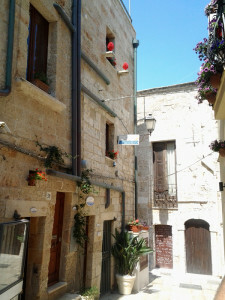 The bathroom has all comforts and still preserves the typical old stone buildings. In addition, we present the fifth solution of the b&b Poesia di Mare, Corallo, the new suite located in the heart of the historic center of Polignano a Mare, a few steps from the picturesque Cala Porto balcony and Santo Stefano balcony. Corallo is designed for all couples who want to spend pleasant moments in maximum comfort. The room is full of small but valuable details. “Coral” has a refined décor and is equipped with a very comfortable double bed. Finally, the B&B Poesia di Mare has created a new environment, a real suite, single, with a panoramic view overlooking the sea really, to really make your stay special in the most picturesque and charming location in Apulia. Acqua marina can accommodate up to three people. The balcony overlooking the sea Acqua Marina is a real blow to the heart. You could not have a more beautiful awakening, the magic of the sea, with its colors and fragrances makes it unique every moment spent in this new environment, the newly renovated and equipped with all comforts. From the balcony of our Suite you can live a unique experience, with the pleasure and enjoyment of the colors of dreamy sunsets, characterized by the orchestrated music from the waves of the sea of Polignano unparalleled. The B & B Poesia di Mare is one of the only ones to ensure this little piece of paradise. 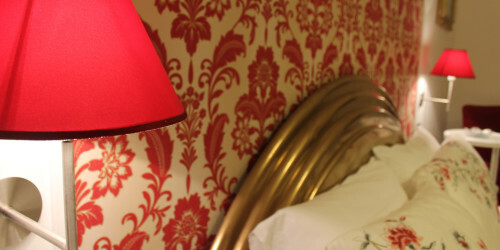 For more information you can contact us or visit our rooms.